He has a habit of being nasty to contestants in Strictly Come Dancing but thankfully Craig Revel Horwood is much more charming in person. However, despite the pleasantries and casual "darlings" thrown into most sentences, the acerbic wit and frank comments about everyone and everything confirm his status as a straight-talking, no nonsense personality. It's probably why he's earned his popularity as the scary judge everyone wants to please on Strictly. 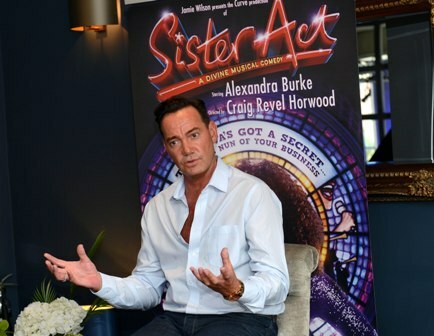 Even Revel Horwood himself admits he can get tough and crack the whip as a director and choreographer in order to get the best out of a cast, something he's been back in the studio doing between Strictly series for a new production of Sister Act. The 51-year-old well-bronzed Australian-born choreographer spoke to Weekend Notes ahead of the comedy musical coming to Birmingham's New Alexandra Theatre in September as part of a UK wide tour. 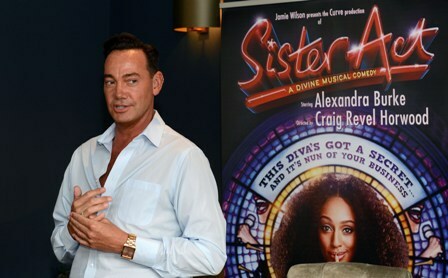 Following on from his well-received role as Miss Hannigan in Annie last year, Revel Horwood is now working on this revival of the Broadway musical of Sister Act, adding his own unique twist. The celebrity stardust will come from pop singer and X Factor winner Alexandra Burke, playing Deloris Van Cartier. Revel Horwood is quick to warn that although the show is based on the smash-hit movie starring Whoopi Goldberg and Maggie Smith, this production is hugely different. It may use the same songs from the Broadway stage version but that's where the comparison ends. This time around, the cast play musical instruments on stage as well as act, dance and sing. There's even a Mother Superior blowing her own trumpet - and that's not a metaphor. "Whoopie Goldberg wouldn't be right for the role in this production - for a start, she's too old," says Revel Horwood, pulling no punches with that acid tongue. He adds: "This version is a lot more stylised and more fun. This has the creme de la creme of the script, we're setting the whole thing in a convent and it leaves a bit more to people's imagination. The choreography is very different too because you never see their legs.. because they're all in habits, so they've just got jazz hands," chuckles Revel Horwood with a twinkle in his eye. I'm not sure I completely believe him after seeing the impressive choreography he has created for productions like the Strictly Come Dancing Live tour, Sunset Boulevard and Chess. Revel Horwood was keen to put his own stamp on this version and tells me: "Everyone in my show mucks in and it's alarming when you first see dancers with a whole load of saxophones", later adding that he's "slightly nervous about saxophones in the arms of nuns" although it's "fantastic to see Mother Superior playing a trumpet". 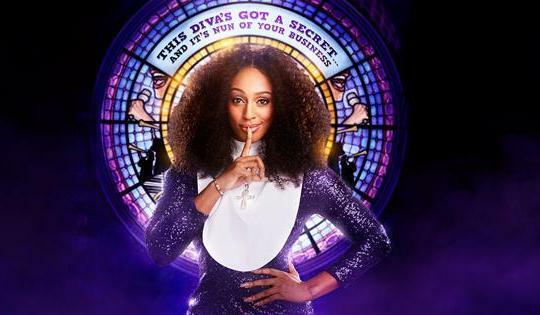 The choreographer has picked Alexandra Burke to front the show as nun-on-the-run Delores and talks as though he believes this show will be the making of her, dismissing her other recent stage roles. "Alexandra has been in the Bodyguard but that's more of a Whitney tribute show, so she hasn't had the chance to focus on her acting," comments Revel Horwood. "I work in a bizarre and wonderful fashion and it's freeing. I hope Burke has enjoyed it. I thinks she'll be absolutely a-maz-ing." He adds: "I never go into a rehearsal room with a closed mind. I like to see whose performing and what they do with that. I tend to go for talent first. Exceptionally gifted people, and then base the show around them. I chose the people in this show because I love them." Some of the other talent he's quick to praise is Susannah Van Den Berg as Sister Mary Patrick "who plays six instruments extremely well and is a brilliant comic dancer" and experienced Karen Mann as Mother Superior, who "will inject strength and underpin the show". "In the film, we felt a real emotional empathy with Delores so I wanted this show to be honest like that." When it comes to his own talents, Revel Horwood says it now lies with directing and choreography. Starting out as dancer in Melbourne and occasionally appearing as a drag queen, he later moved to London for the theatre opportunities, landing several shows. Over the years, he seems to have done it all. Not only the big West End productions, gaining two Laurence Olivier Award nominations for Best Choreography for Spend Spend Spend and My One and Only, but also more niche productions of German and Italian opera before becoming a household name as a judge on Strictly Come Dancing. He's been married, divorced and then settled in a gay relationship for several years. However, he reveals that theatre is his real love. "The more people from TV that invest in theatre, the better. Every line a person will say in the theatre is different because of the audience and the way they are reacting. The actors are slightly changing their performance daily and the audience is feeling something and that's so much nicer than seeing a film." 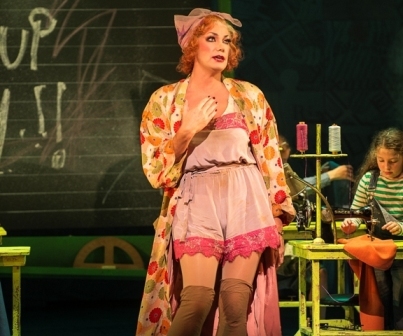 So after his recent stints wearing a dress in Annie and for panto, it's a wonder that Revel Horwood hasn't been tempted to dress up in a habit for the show himself. The familiar twinkle is back in his eye as he admits he was temped but couldn't see a part for himself. Although, he quickly adds: "If it got bums on seats, I'd dress up as a nun to promote it darling." For more details on the Sister Act tour, see a preview on the show and dates here.